WELL DONE JACK AND BEN ON GREAT WIN VERSUS GRAVESHAM TODAY!! 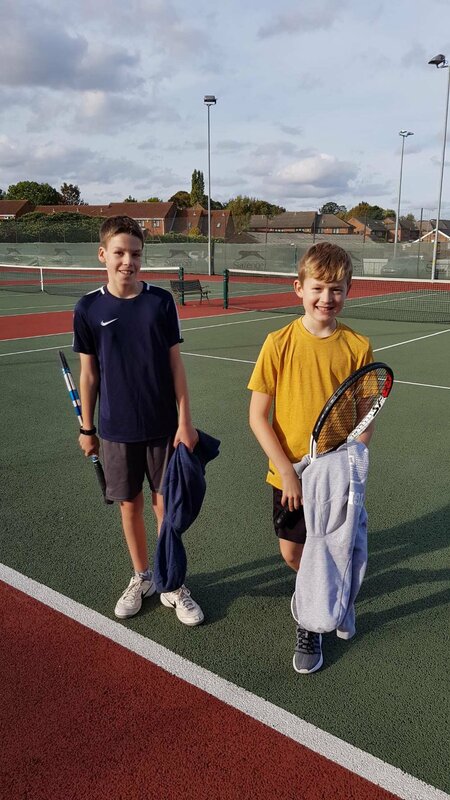 Huge congrats go to Jack and Ben for beating Gravesham today in the Kent 12 and under Inter County Club Championships. Both boys won their singles in straight sets and wrapped up a 3-0 whitewash winning the doubles. Great job boys! Big thank you to Jack’s mother Charlotte who acted as Captain (and taxi driver) on the day! Nice picture of our triumphant boys! Newer PostBOYS 12 AND UNDER ON FIRE AGAINST OLD WILSONIANS!! Older PostIMPROVERS TOURNAMENT BASKS IN THE SUNSHINE AT SUNDRIDGE PARK!